Paulina abandons her successful career as a lawyer in Buenos Aires to engage in social activism back in her homeland on the border between Argentina, Paraguay and Brazil. After two weeks working in a neighborhood scarred by marginalization, a gang assaults her. Despite the brutality of the attack, instead of fleeing, Paulina resolves to hold tighter to her convictions – to survive, against the odds. Paulina is a social thriller that explores the characters connected to an act of violence – the victims and the perpetrators – and examines how that violence triggers different ideas of justice. Paulina abandona a su exitosa carrera como abogado en Buenos Aires para unirse al activismo social de vuelta en su tierra natal, en la frontera entre Argentina, Paraguay y Brasil. Después de dos semanas de trabajo en un barrio marcado por la marginación, una banda la agrede. A pesar de la brutalidad del ataque, en vez de huir, Paulina decide aferrarse a sus convicciones para sobrevivir, contra todo pronóstico. Paulina es un thriller social que explora los personajes conectados a un acto de violencia – las víctimas y los autores – y examina la forma en que la violencia provoca diferentes ideas de justicia. Santiago Mitre was born in Buenos Aires, Argentina in 1980. He studied at the Universidad del Cine (FUC). In 2004, he co directed with Alejandro Fadel, Martin Mauregui, and Juan Schnitman, Love (Part 1), feature presented at BAFICI and Settimana Internazionale della Critica in Venice. He has written three features for Pablo Trapero: Leonera (Cannes’ Competition – 2008), Carancho (Un Certain Regard – 2010) and Elefante Blanco (Un Certain Regard – 2012). 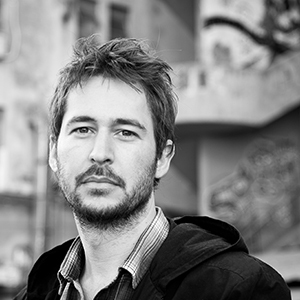 In 2011, he cofounded the independent production company LA UNIÓN DE LOS RÍOS, producer of his first feature, The Student. The film participated in more than 30 festivals harvesting numerous awards such as Locarno’s Special Jury Prize/Cineasti del Presente, Best Film in Gijón and Cartagena, FIPRESCI Best Argentinean film 2011. Paulina is his second feature as writer and director.